Sea Ranch is a planned community located in Sonoma County, California. The area spans for 10 miles and offers spectacular views from rocky cliffs, access to secluded beaches, and great sunsets. Although it is a privately owned community, one can get to the trails via six well-marked access/parking areas. The best spot for running is the 3-mile Bluff Top Trail, which begins at Walk-On Beach and provides great views of the ocean and crashing waves as it winds its way to Gualala Point. Footing is easy the trail is flat. 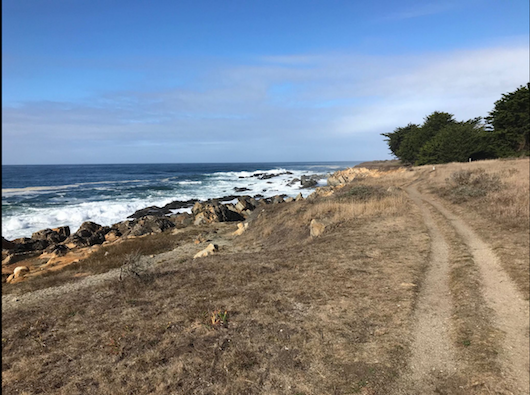 Additional running opportunities in this area are on the beach via one of the access trails, and 2.9 miles of trails in Gualala Point Regional Park. For a super long run, here’s a 21-mile out and back route that one of our Great Runs friends did, all on trails. For the 21-miler, it's 1,400 foot elevation gain.